An image is worth a thousand words. We have seen images through media, history books, articles and magazines representing events that mark a significant point in history. 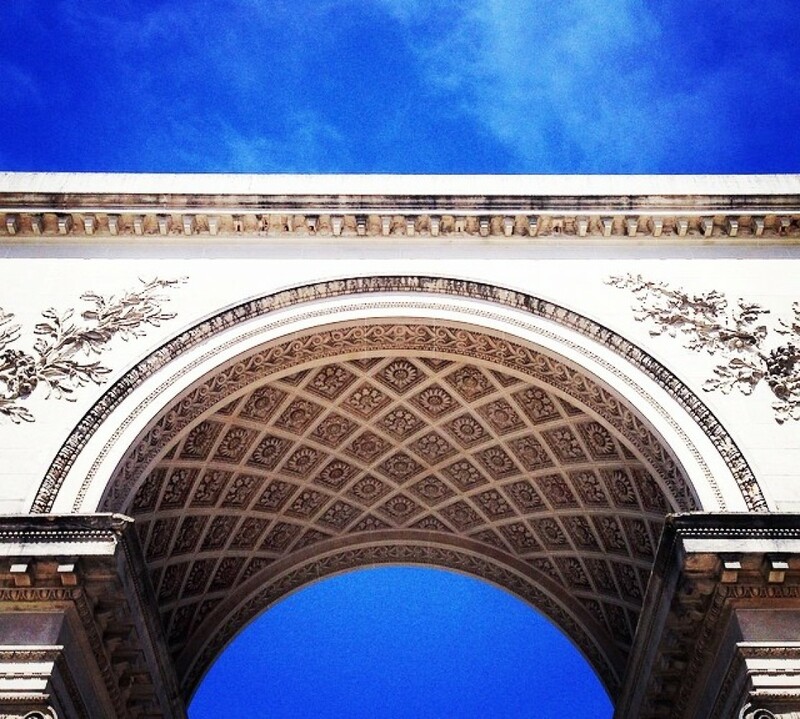 They are portals of life in the past, and they demonstrate the power and capabilities human beings posses. The following images are aggregated through the contribution of the members of the forum “Reddit,” an online community that generates internet media. WARNING: Some images are not safe for work, and may contain gore, images of death, or violence. 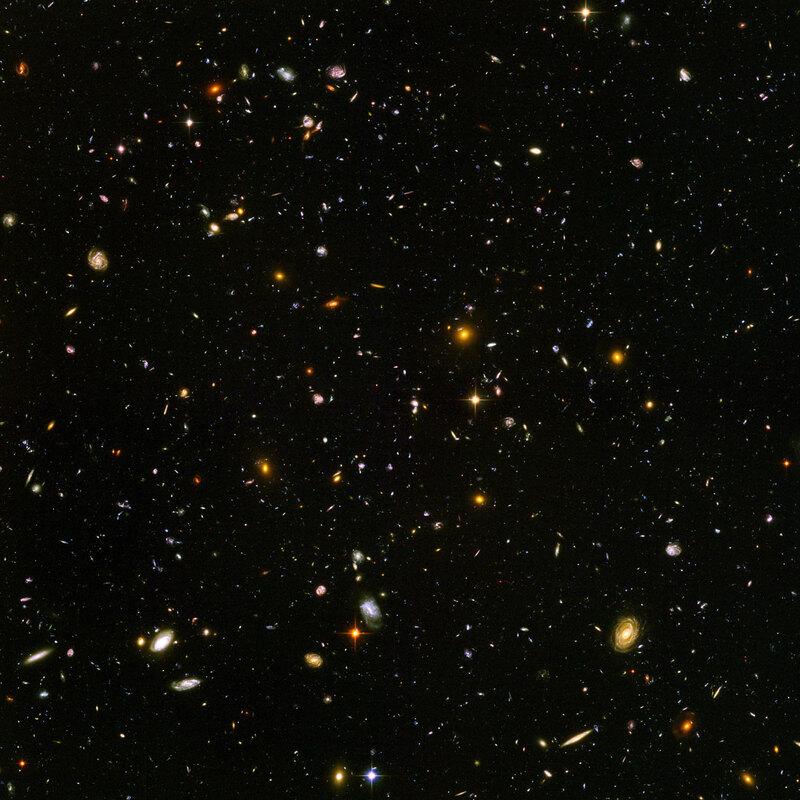 The Hubble Ultra-Deep Field (HUDF) is an image of a small region of space in the constellation Fornax, composited from Hubble Space Telescope data accumulated over a period from September 24, 2003, through to January 16, 2004. It is the deepest image of the universe ever taken, looking back approximately 13 billion years (between 400 and 800 million years after the Big Bang), and it will be used to search for galaxies that existed at that time. In 1936, Owens arrived in Berlin to compete for the United States in the Summer Olympics. Adolf Hitler was using the games to show the world a resurgent Nazi Germany. 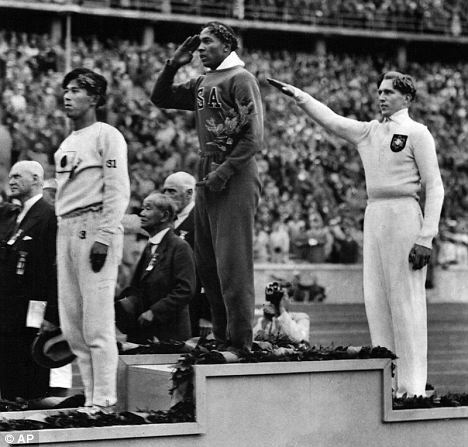 He and other government officials had high hopes that German athletes would dominate the games with victories (the German athletes achieved a “top of the table” medal haul). Meanwhile, Nazi propaganda promoted concepts of “Aryan racial superiority” and depicted ethnic Africans as inferior. Owens surprised many by winning four gold medals. It is important to point out that African-Americans were also discriminated against during that period in the United States. In 1962, Puerto Cabello was the site of an uprising by pro-Fidel Castro naval officers, marines, and members of the Armed Forces of National Liberation. Although loyalist naval forces were able to quickly take back the base and arrest the rebels, they were unable to prevent the marines from occupying the city and arming pro-Castro forces. Despite ambushes and bloody house-to-house fighting, loyal National Guard and mechanized regular forces were able to retake Puerto Cabello. 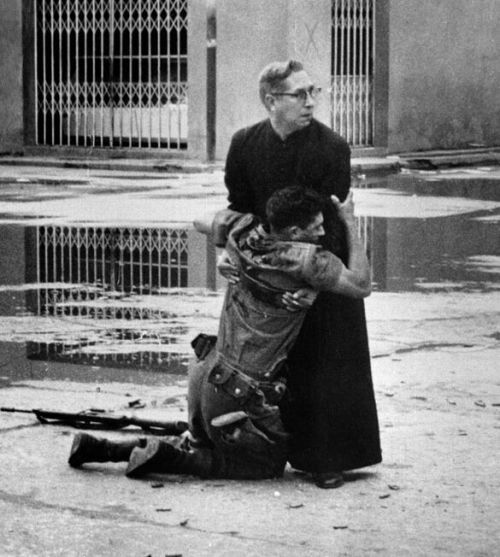 The image was taken by Hector Rondon, a 1963 Pulitzer Prize Winner, photographer of Caracas, for the Venezuelan newspaper, La Republica, for his remarkable picture of a priest holding a wounded soldier in the 1962 Venezuelan insurrection: Aid From The Padre. The photograph was distributed by the Associated Press. Egypt uprising initiated due to the Arab Spring in Tunisia, where different Arab countries rose up against their leaders demanding justice and democracy. The Egyptian Uprising lead to many deaths by the forces of ex-President Hossni Mobarak. 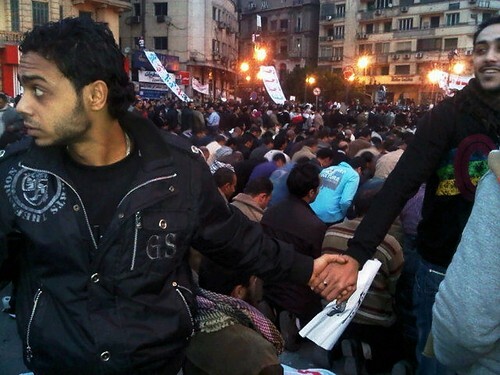 In this image, a group of Christians joined hands and faced out surrounding hundreds of Muslims protesters left vulnerable as they knelt in prayer. The photos were taken in Cairo by Nevin Zaki. She shared the images over Twitter, writing, ‘Bear in mind that this pic was taken a month after z Alexandria bombing where many Christians died in vain. Yet we all stood by each other.’ The suicide bombing, shortly after the New Year’s Day, killed 23 Coptic Christians, who make up 10 percent of Egypt’s 80 million population. 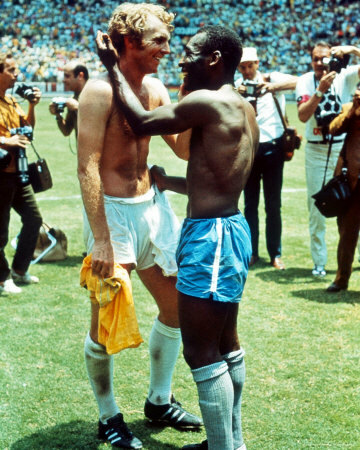 This is the iconic moment where Brazil’s Pelé and England’s Bobby Moore swapped shirts following their classic encounter at the 1970 World Cup in Mexico. Brazil won 1-0 with a great goal from Jairzinho, but the game also featured the Gordon Banks save and the Bobby Moore tackle. The shirt swapping between two great players, both of them already World Cup winners (and Pelé on his way to a third medal) was a sign of mutual respect and is thought to have popularized the concept of shirt-swapping. It wasn’t the first time players had exchanged jerseys at full-time but the above moment is probably the reason shirt-swapping happens so regularly in modern football. 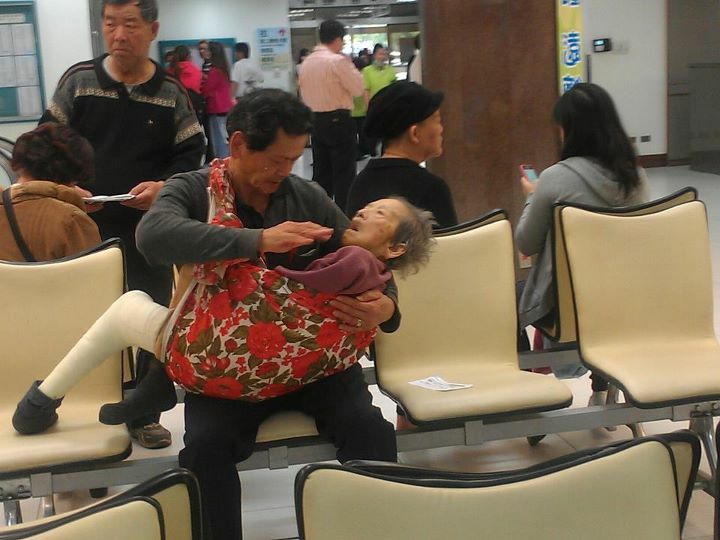 Former colleagues were quoted in local media reports as saying they were not surprised to learn that the man in the picture was Ting as he was known for being filial. He even passed on a promotion because he would have had to relocate to Taipei City and so be unable to look after his mother. Ting, who filed for early retirement in 2007 to take better care of his mother, on Monday expressed gratitude for the expression of public concern, while declining to accept the praise voiced in the media. “I am not as filial and honorable as described in the news reports, and I’m sorry for taking up so much media coverage over the past few days,” said Ting, whose father passed away in 2007.